Harrison Ford, Sean Connery, Denholm Elliott, John Rhys-Davies, and River Phoenix. 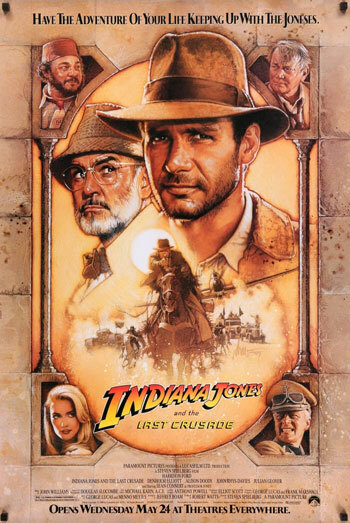 Many consider this third Indiana Jones entry to be their favorite of the series, and it’s hard to argue considering the brilliant addition of Sean Connery as Indy’s dad. The chemistry between the former James Bond and Harrison Ford’s heroic archaeologist makes for one hilarious, and ultimately moving, adventure film.